General concept – Generalized measurement system-Units and standardsmeasuring instruments- sensitivity, readability, range of accuracy, precisionstatic and dynamic response-repeatability-systematic and random errorscorrection, calibration, interchangeability. 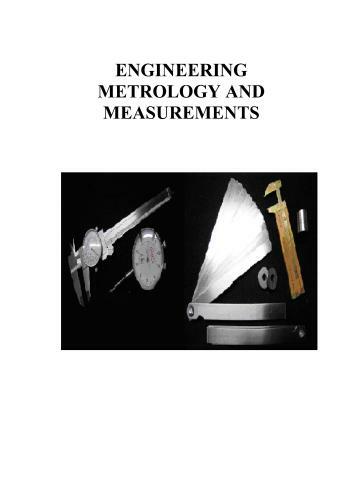 straightness, flatness and roundness measurements. applications – digital devices- computer aided inspection.